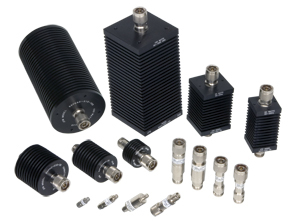 The name JFW has been synonymous with RF attenuators almost since our inception in 1979. Designed to meet and exceed the demanding requirements of our customers, each fixed attenuator from JFW is manufactured to the highest quality standards. We have thousands of different models to choose from with countless combinations of features available to meet almost any RF application.